BRIDE 2015 Knebworth Wedding Show, Grand Prize Draw – Winners announced! Our Grand Prize Draw held at the BRIDE 2015 Knebworth Show was for 1 lucky couple to win a Full Day – Digital Wedding Photography Package from Belle Momenti Photography. Having received hundreds of entries over the two day show we then randomly drew 3 Finalist entries. The 3 couples were then invited into our Hitchin Studio to hear what the prize package included, examples of our work, how it would all work on the day and for the couples to explain why they thought they should be the winners! This is the first time we have ever offered such a prize, so we were overwhelmed with the response and when it came to selecting the winners, found the process almost impossible. Of the three couples selected as Finalists, two couples were, for very different reasons, clear winners. We had an instant rapport with them, loved their wedding plans and they loved our work & style of photography. As the two couples are getting married in different years, we have decided to extend the prize to one couple getting married in 2015 and one couple getting married in 2016. We are therefore delighted to announce that the 2015 Winning couple are Lucy & Josh and the 2016 winning couple are Dan & Sunny. We are extremely excited to be working with both couples and look forward to sharing their special day. If you would like to find our more information about our services then visit us at the Luxury Wedding Show at Luton Hoo Hotel, Golf & Spa on 1st March 2015. 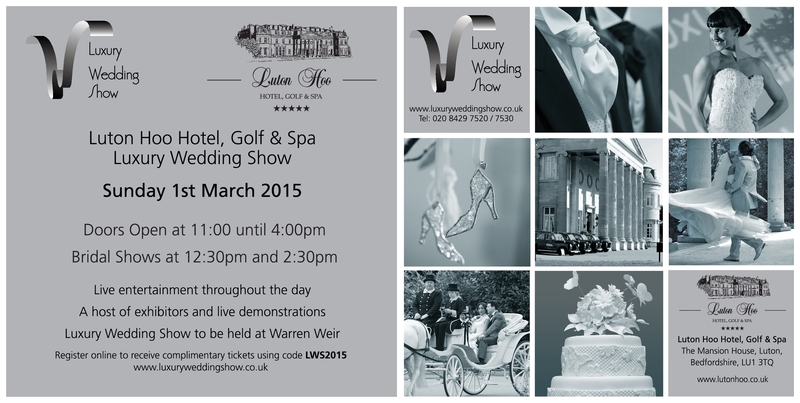 Pre-register at www.luxuryweddingshow.co.uk and quote the discount code LWS2015, you will receive FREE entry! We are starting May off with a BANG over here at French Wedding Style as I have such an amazing competition to launch with you today – the chance for one couple to win their own fairytale wedding venue in France! Win your ‘Exclusive Hire’ fairytale wedding venue at a beautiful French Château worth €10,000 euro for up to 50 guests to be held in May 2014. To mark Chateau des Buis historic 850th Birthday celebrations in May 2014, they are offering one couple the chance to win exclusive hire of the Chateau for you and 50 guests. Chateau des Buis is a 13th Century Chateau in the Rhone-Alps that throughout its long history has been home to only two families, with the current owners having lived there for the last 350 years. Château des Buis is situated in an elevated position, overlooking the Ain Valley, near the town of Bourg-en-Bresse (between Lyon and Geneva). It derives its name from the type of box hedging that can be seen around the formal gardens and is typical of borders used in both French and Italian (Italianate) garden designs in many Châteaux and Palaces – including Versailles. Chateau des Buis is set within scenic French countryside allowing both indoor and outdoor ceremonies and receptions. In addition to the beautiful gardens they also have State recognised unique historical fresco’s in both the courtyard and the Fresco room in the main house adding to the unique setting for your wedding day. Please tell us in 250 words or less, why you think you should be the lucky winner of this luxury wedding day. This is the perfect opportunity to win the fairytale wedding of your dreams. You can enter online by emailing your entry to Monique@frenchweddingstyle.com with the subject header Château des Buis Wedding Competition. The closing date for entries is 30th September 2013. The lucky Winner will be announced on the French Wedding Style Blog on 30th October 2013. The competition prize includes the exclusive hire of the Château des Buis facilities (grounds, orangerie & bridal suite) for a ceremony and reception for up to 50 people and 30 bottles of Château des Buis Grand Cru wine for the Aperitif. It includes the use of all designated facilities, dedicated Wedding Planner, ceremony Officient, complimentary overnight stay in the Bridal Suite for the Bride & Groom followed by Champagne breakfast. The prize does not include catering, which will be charged separately (based on the selection specified by the winning couple). Château des Buis has an exclusive contract with Belle Momenti Photography for the provision of photographic services for all weddings. This service is excluded from the above prize and will be subject to an additional charge. Château des Buis does not permit any other professional photographers to photograph at the venue. The wedding competition is open to all couples, however the prize must be taken between 1st – 30th May 2014. The actual date of the wedding must be agreed and booked in advance. All wedding catering is provided by external award winning caterers. The Prize specifically excludes all catering services, which must be booked separately and will be subject to additional charge. Coverage of the prize winners and their wedding, including photographs will be required for publicity purposes. This will be discussed and agreed with the winners. All entries must be in writing and sent online as described above. Employees of BMP Services (UK) Ltd or FrenchWeddingStyle are not eligible to enter. 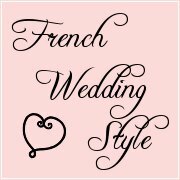 FrenchWeddingStyle Editor’s decision is final – no correspondence will be entered into. No cash alternative will be given in lieu of prize. Further details on Château des Buis (and its services) can be viewed online at www.chateaudesbuis.com. Your details submitted in entering this competition may be maintained for communication purposes, but will not be passed onto any 3rd parties.